You are here:Home » Product Reviews » Haze, How We Can Help Fight This Crisis! Contingency plans are in place to close schools & sports complexes if necessary. 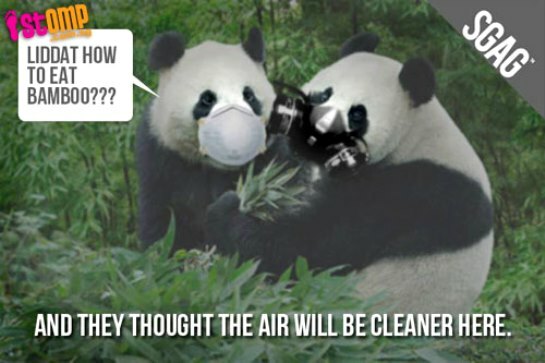 People are masking up to protect themselves from the haze as these particles can increase a person’s risk of developing viral & bacterial infections, heart/lung diseases, as well as cancer & stroke. Parts of neighbouring #Malaysia were also suffering from the smoky haze, a recurring problem the Southeast Asian governments have failed to solve despite repeated calls for action. Singapore's National Environment Agency Chief Andrew Tan met with Indonesian officials in Jakarta to discuss the situation. He called on Indonesia to take "decisive action" against companies suspected of burning forests on #Sumatra as a cheap way of clearing land. Instead of apologizing, Indonesian Minister for People's Welfare Agung Laksono had criticized Singapore's reaction to the haze, accusing the city-state of acting like a "child"! With fingers pointing at one another, Ministry official Hadi Daryanto attempted to shift some of the blame onto Malaysia & #Singapore, saying palm oil companies that had invested in Indonesia were also responsible. Singapore has been enjoying clear blue skies again for the last few days due to a change in wind direction, but we should be prepared for the haze to return. It finally rained! From #haze to #rain, then #hailstones in Singapore! While hail storms are not common in the tropics, it’s not the first time that Singapore has seen hail, but the last was 5 years ago on March 27, 2008. 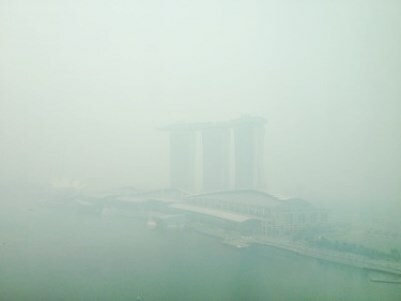 The rain that had fallen over parts of Singapore was neither toxic nor acidic, said the National Environment Agency (NEA). It was also not due to cloud-seeding in Indonesia. While it’s uncertain if haze causes hail, the intense thunder clouds were thought to have created the right conditions for hail to form. Any kind of particles, such as haze or dust, can cause condensation nuclei, which could then lead to ice formation. Singapore certainly does not need these freaking weather conditions. Give us back our clean city! So let’s support #CleanEnergy by reading more about alternative energy companies such as NRGLab in #Singapore (www.nrglab.asia), & go for #PalmOilFree products! Besides causing widespread health problems, the crisis is also costing the regional economy billions of dollars as a result of business & air transport disruptions! Sharon, scary actually! U take care too, dear! 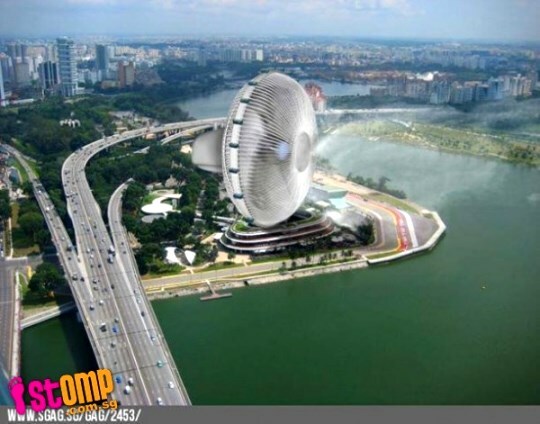 Thanks for linking and summarizing all the weather concern in Singapore. For attempts to make the environment a better place, NRG Lab had certainly done a good job, Bravo to Ana Shell! DS, thks for your sopport! Well done. You did an interesting write up on this topic with all the relevant links! You and I have been suffering this hazy fate yearly since 1997 (if I am not mistaken) Most of the time we had more soot in the air as our peninsula is much longer and places like Klang & Penang are pretty close to Indonesia. Once I visited Bali and the farmers also burned all the harvested fields but the smoke did not affect the island at all as it flew across to Jawa Island & Malaysia right away. If they choose to burn at different months, I guess it will blow to opposite directions. TM, thks so much for your kind note! That long already?? Gosh! Hope our govt can join forces to tackle this problem. Sigh! Lol...saw similar post on kenwooi's blog the other day. What to do? It's going to be an annual "hazing"
I don't think haze causes hail or we'd be suffering from hailstones during the open burning season yearly. The haze this time around is definitely the worst we'd have suffered; this was the first time that my eyes was irritated by the suffocating air. I just hope that the three countries really do something about it. It's always the innocent citizens who are always suffering. Ciana, your side is bad too? Looks like we're sharing the same fate all because of some irresponsible parties. Yap, u're absolutely right! Yes, it was just as bad... Even though I'm hiding somewhere in the Klang Valley, the wind really sent the haze up here, making it the first time that Petaling Jaya is submerged with smoke. Ciana, oh dear! So sorry to hear that. No where to escape, huh? I think we can consider ourselves very lucky. The index hitting 700 in Malaysia (Muar) could easily have been us. Hi Shirley, take care ! Pollutants Standard Index (PSI),indicates concentration of larger particulate matter (PM10) in atmospheric air. PM2.5 particles, much smaller than this measure are very dangerous as it can easily pass through nasal passages, can enter into lungs and blood circulation and cause all the scary diseases that you have mentioned. I do not want to scare people further by listing in detail the problems and diseases caused by such finer particles. So always note PM2.5 levels too; it was very, very high over there, I read online. Properly fitting N95 masks will help in preventing such finer particles from entering the body. Ordinary face masks are not effective. By keeping windows and doors shut and also by using aircon you can reduce the haze from entering homes. Risk is more for people working outdoors most of the time, they better use N95 masks all through out. People with chronic lung and heart conditions also are advised to use N95 masks. We need to monitor the quality of air that we breathe. Thanks a lot for opening this topic for discussion, a very important thing only very few health conscious people will consider for maintaining optimal health. We talk a lot about the food we eat, mental health, exercise etc. but it is high time we pay attention to this as well. May be the Indoor air purifier Companies will flourish :) , there are plenty of Air quality index widgets available online. Lot of data on greenpeace and National environment agency websites. Let this haze problem be an eyeopener for everyone regarding the quality of air that we breathe not only in South east Asia but also in other parts of the world. Rajiv, thks for the info! Yap, almost all have been following the news closely learning more about this horrible haze. I've managed to get my N95 masks from Tokyo; lucky me! U're absolutely right, Rajiv! I'm seeing so many ads on air purifier. Lol! I've bought mine years ago & it really helps a lot. Thks again for your input! Thanks Shirley. Happy to note that you have taken adequate precautions. What I feel is that there should be adequate stock of N95 masks everywhere in the world all the time. This of course is my personal opinion. There is high probability of highly contagious epidemics like H1N1 and the like everywhere and if an outbreak occurs then wearing N95 masks will help in allaying the anxiety of millions as well as help in prevention. It is quite natural people panicking if there are no stocks during a large scale air pollution like this. All these are part of multipronged attack against this problem. No single solution will work to counter a major public health concern of such a large magnitude involving neighbouring countries as well. Precisely, Rajiv! Out of stock is certainly not a good excuse. Let's just hope the govt will take a stern measures towards this crisis. Agree! Air con without air purifier is useless. air purifiers are needed to get rid of the small/fine particiles (PM2.5 and below). The best purifier (in terms of specs) I have seen thus far is AMway Atmosphere purifier.